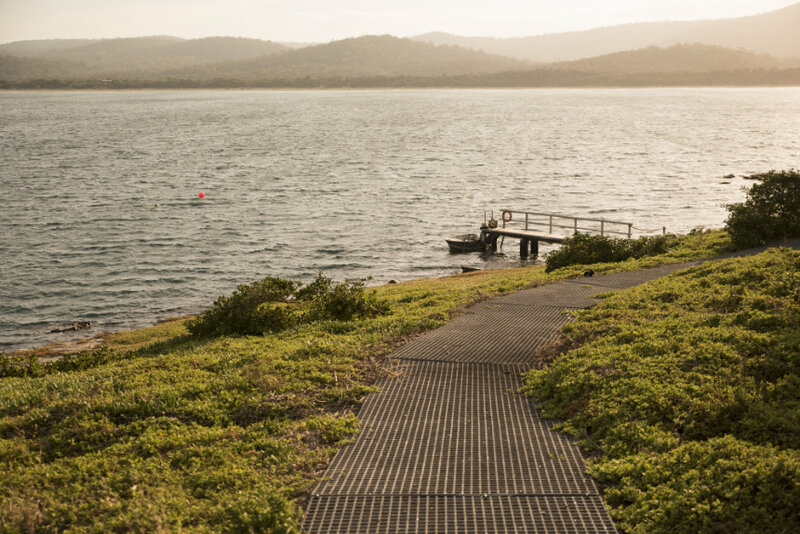 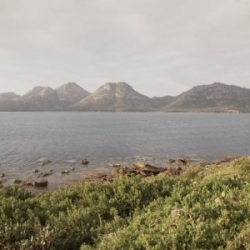 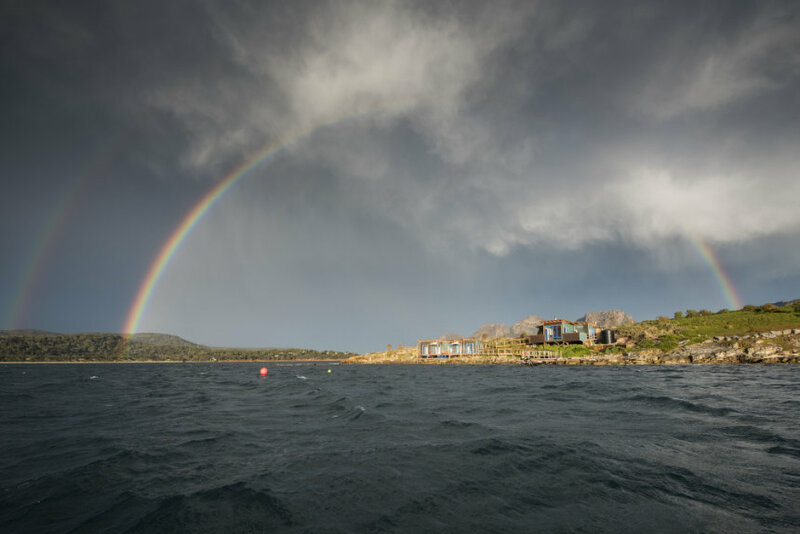 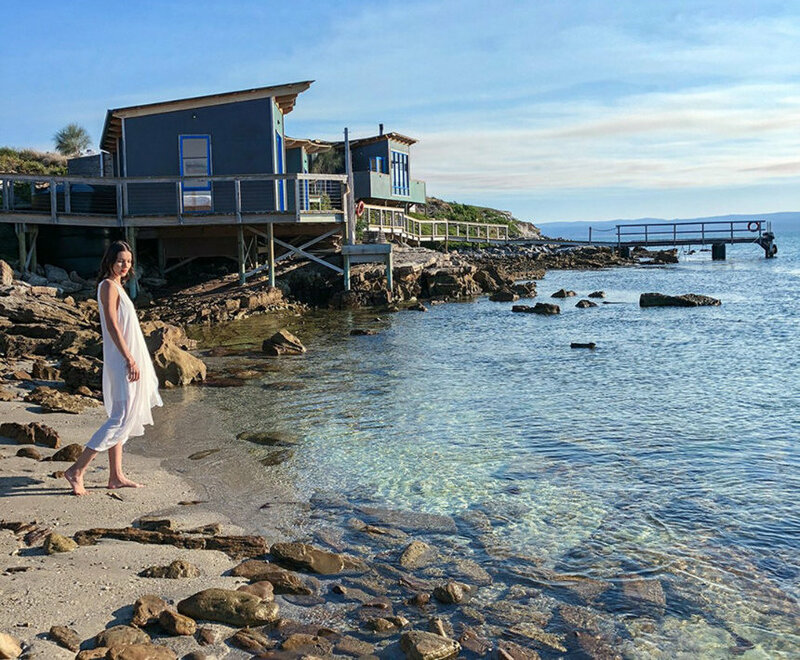 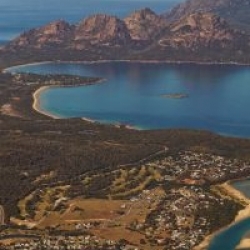 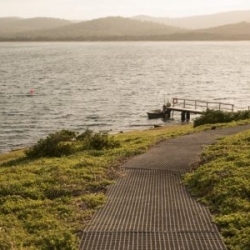 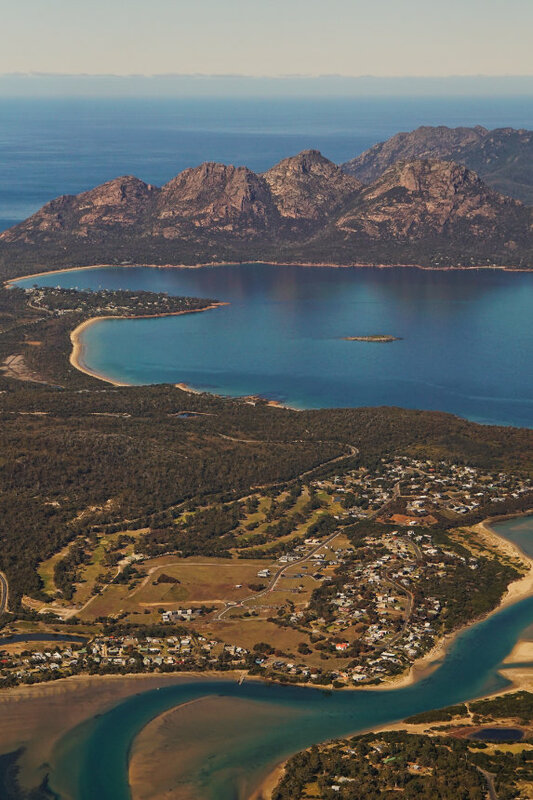 Your own private island just offshore from the beautiful Freycinet Peninsula, and around the corner from the word famous Wineglass Bay. 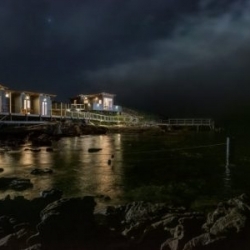 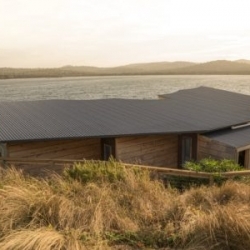 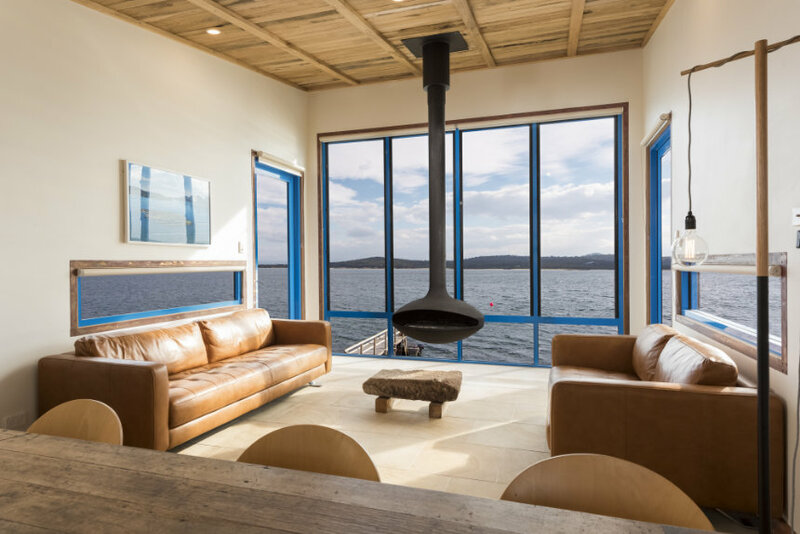 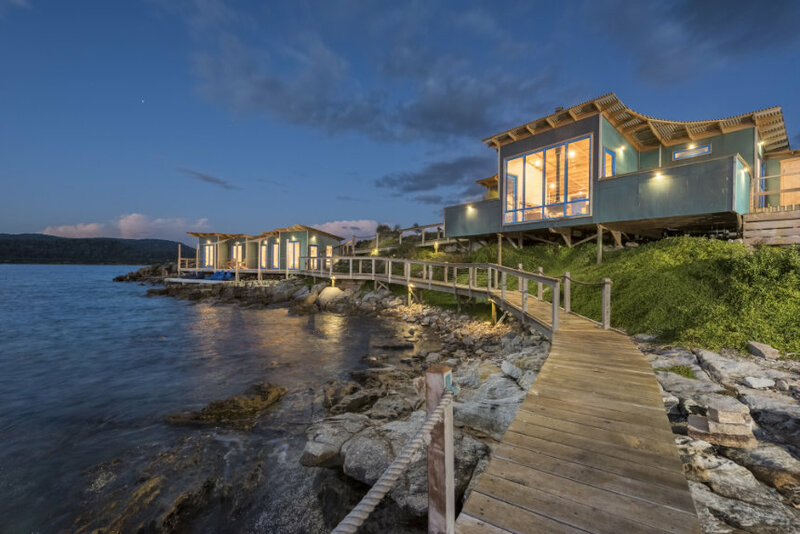 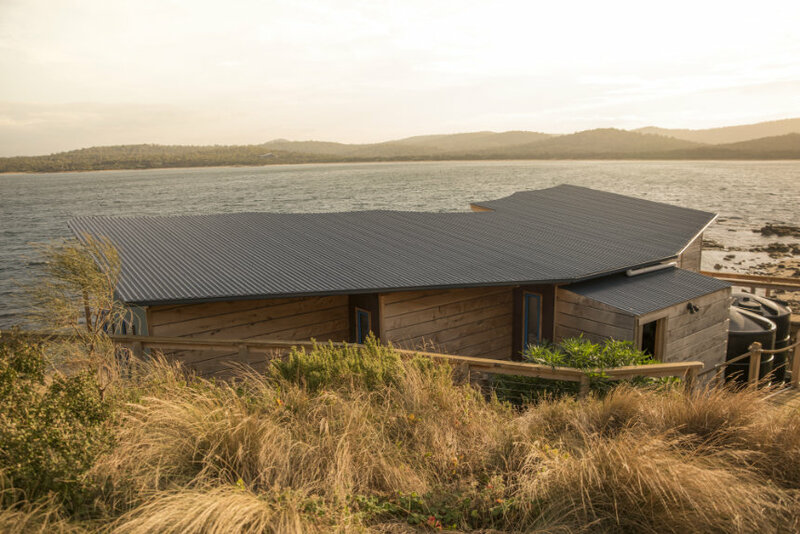 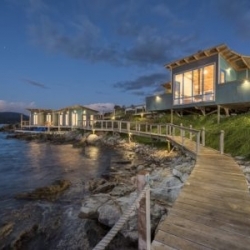 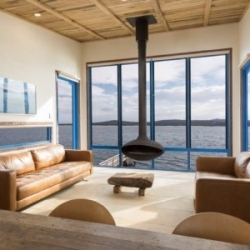 This stunning copper clad lodge is designed by Tasmanian architect John Latham. 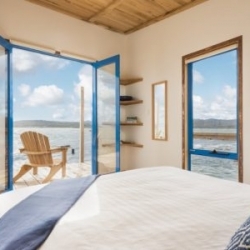 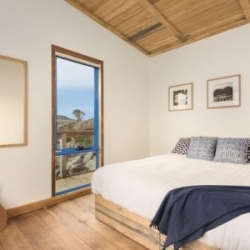 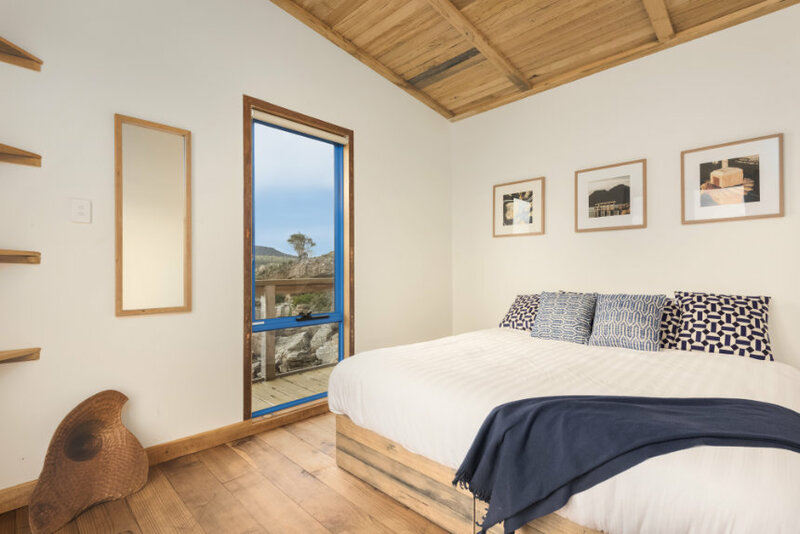 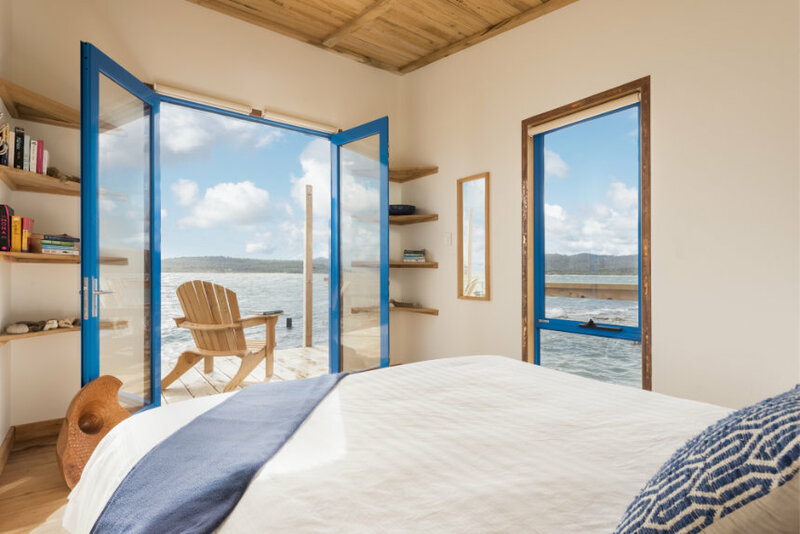 We have beds for 10 guests as well as the communal “Birdhouse” where you get together for a meal, relax on the deck or by the open fire with a wall of glass cantilevered over the high water mark. 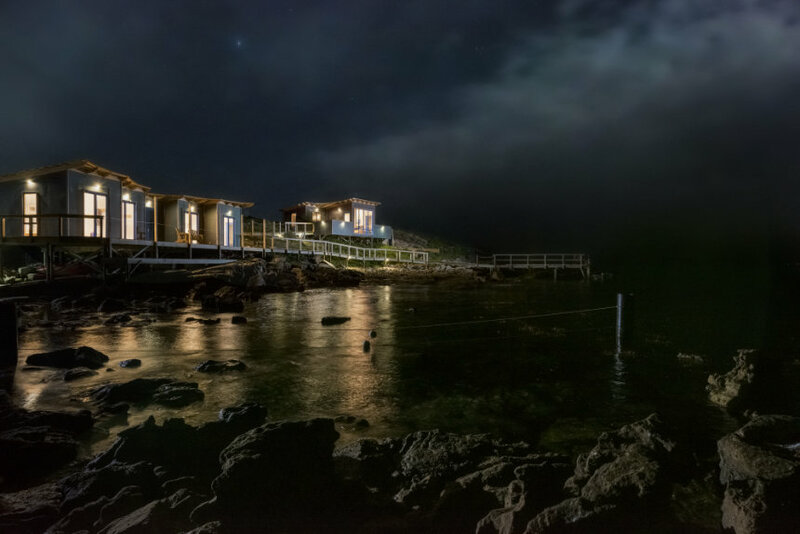 When the sun goes down the penguins and shearwaters come in. 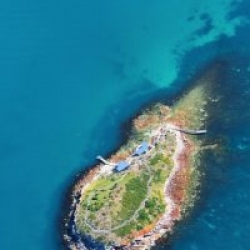 You will be amazed by hundreds of birds arriving back to their burrows. 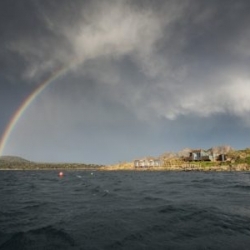 If sea life is more your thing you may well spot a whale, dolphin or seal just off the island. 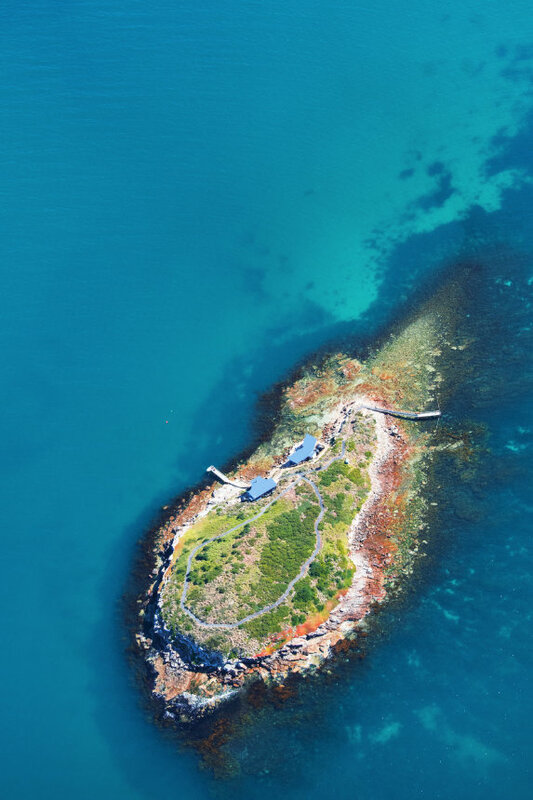 If you fish, flathead and squid are abundant as well as mussels you can pick off the rocks and abalone and sea urchins under the sea. 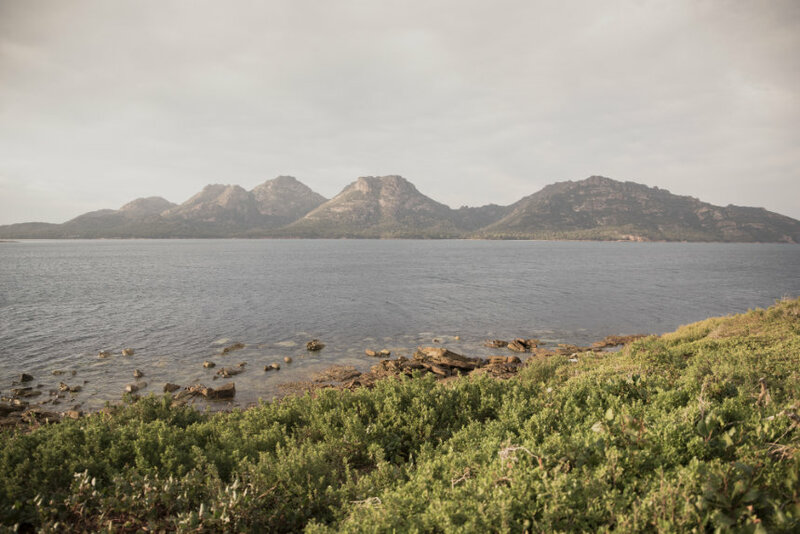 Please note this is a wild nature experience so expect the unexpected and be prepared for the adventure retreat of a lifetime.